VR just took a major step forward. HTC has launched a new Vive standalone VR headset that doesn’t need a phone, a PC or a cabled connection to any device. The current HTC Vive requires the sizable headset to be tethered to a substantial PC rig – but the Taiwanese firm has now cut the cord with its more mobile Vive standalone offering. It's a similar idea to Samsung's Gear VR and Google's Daydream View, but with one key difference. Instead of sliding your phone inside the headset, the new Vive VR viewer already has the screen, power and room-mapping smarts packed in. This is the first standalone headset to use Google's Daydream platform, which the search giant announced would be available for phone/PC-free devices during its Google IO event. It's due out in late 2017 – we're still waiting for a firm HTC Vive standalone release date, but it could find itself on a few people's Christmas lists. A glimpse of the future of Vive? It's currently not clear if the new Vive headset will be able to run full HTC Vive titles from Steam, but our guess is probably not, as there won't be enough power under the hood to support them. There are very limited details on the new headset for now, with HTC saying "more information on Vive’s standalone VR headset will be made available soon, but rest assured it will be simple, easy-to-use and with no cables to connect". While this isn't a HTC Vive 2 announcement, it's a glimpse of what we could expect to see, with rumors of a wireless PC-powered headset doing the rounds. 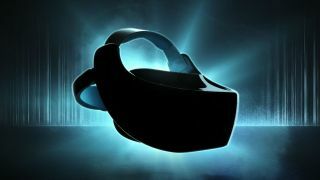 We're still waiting for word on the new HTC Vive standalone headset price, but the hope is it'll be more affordable – and thus approachable to a wider range of users – than the full-blown Vive offering. We’ll update this story with more information when we get it from HTC.